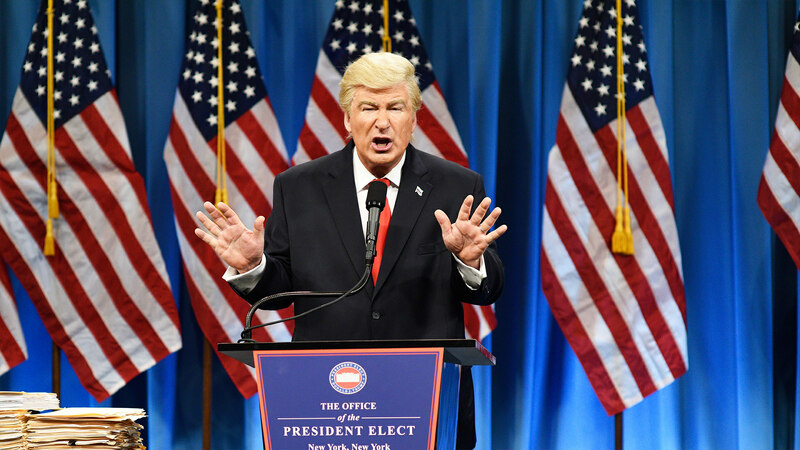 Alec Baldwin is pretty good at being presidential. And by that I mean, he’s pretty great at impersonating the current holder of that office on Saturday Night Live. But it turns out that Baldwin’s had dreams of running for public office for a while. In a 2008 interview with 60 Minutes, Baldwin said it was a childhood dream of his to be a politician. To further fuel the fire, Baldwin sent out a tweet on Friday which read, “If I run for a President, think of how entertaining the debates would be,” which led many to wonder if Baldwin was actually joking. In 2011, Baldwin even considered running for mayor of New York City, but he later said he changed his mind. Just because he lost his appetite to run for mayor, however, that doesn’t mean he lost his appetite for the White House. Baldwin is far from the first celeb whose name has been mentioned as a potential contender in the 2020 election. Dwayne “The Rock” Johnson and Oprah Winfrey are among the other notable celebrity names. Would you vote for Alec Baldwin for president?